Create, play and imagine with My Mermaid Lagoon! With 3 different sets available featuring either Coral, Pearl or Marina with their sea creature friends. 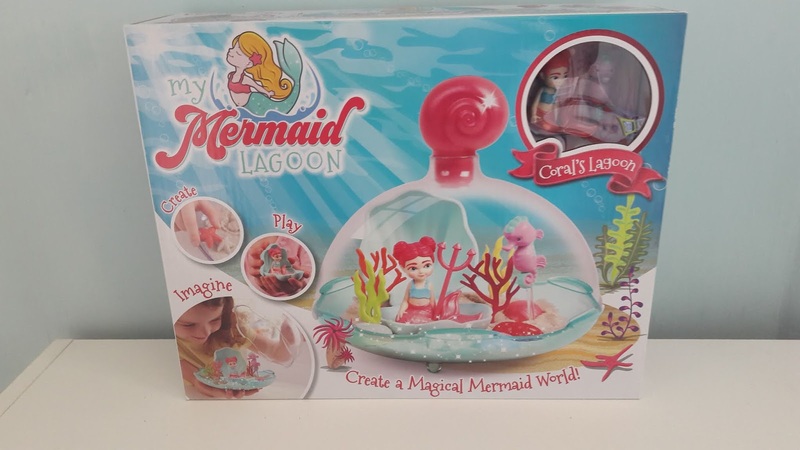 Today I have the chance to giveaway Coral's My Mermaid Lagoon to one lucky person! Create a magical mermaid world where Mermaid Coral and her seahorse friend love to live! Mould, sculpt and play with the glittery magic sand and use corals, shells and other accessories to create an enchanting ‘under-the-sea’ scene in a beautiful bottle with a pretty shell-shaped stopper. Take Coral anywhere, carried safe and snug in her clamshell home that fits perfectly into a pocket. A seahorse. This is such a cute little set! A seahorse, what a lovely prize. Phoenix would love this. She comes with a seahorse. A very cute Seahorse! such a lovely set!. Awe so cute! She comes along with her seahorse friend. She comes with a seahorse!